I was first introduced to the TechShop (www.techshop.ws) by Bret Jacoby. I met him at the manufacturing company where I worked. 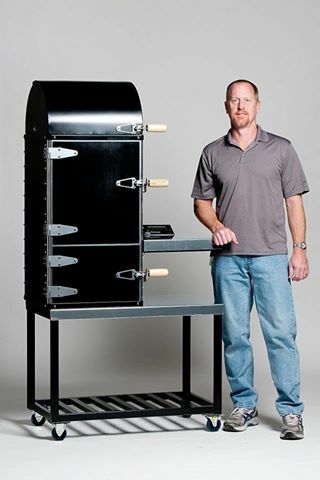 Bret was in the process of building a prototype charcoal barbeque grill that used a built in computer to control the temperature, so he could smoke meats. The smoked meats were delicious. I wanted to learn more. I was helping Bret order the interior grills from China, that’s how I got involved. Through Alibaba we found three companies who made grills. I wrote asking for prices and samples. Bret took me down to TechShop San Jose. This place was an inventor’s dream shop. The employees were so helpful. Even more interesting were the people. The folks who were making projects were so friendly and ready to show me “how” to use various machines and tools (i.e. woodworking, laser, welding, sheet metal, plastics, machining, fabrication, automotive, industrial sewing machines, sand blaster, vinyl cutter, etc.). There was such camaraderie at the TechShop that you could learn from others. Take a look at Luciano Golia’s cello project in Detroit. Golia had immigrated from Italy and was looking for a place to build his artisanal cellos to continue his 24 year old business. Do you see? You get inspired by other people’s projects. The TechShop was founded by Jim Newton and first opened in California. Now, they have expanded to Arizona, Michigan, Pennsylvania, Washington, D.C., and Texas. For fun, I wanted to make a leather bag. I used their industrial sewing machines. Was it photo worthy? Not this time, remember, I am a beginner, but I tried and plan to go again. How about YOU? What project do you have? Take it to the TechShop, they will teach you how to do it!